Bullseye! 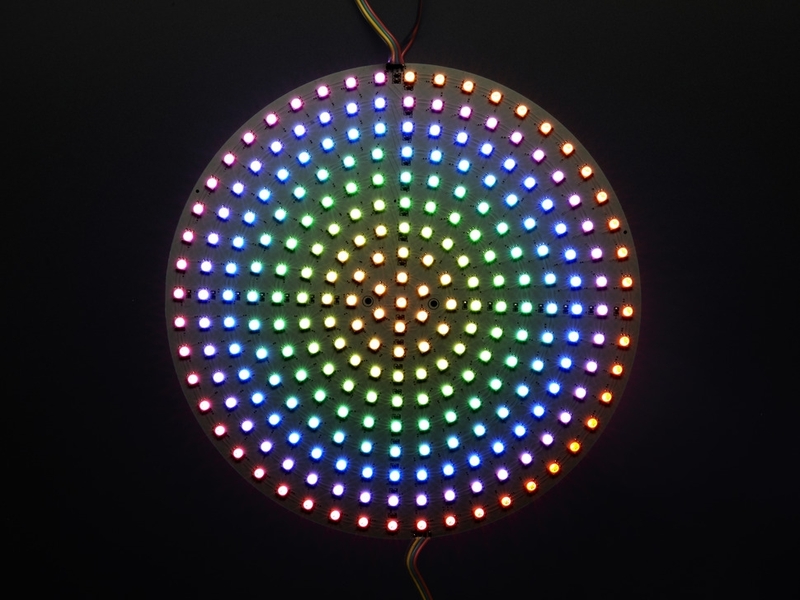 This disk is chock full of *255* Dotstar LEDs and it's BRIGHT! 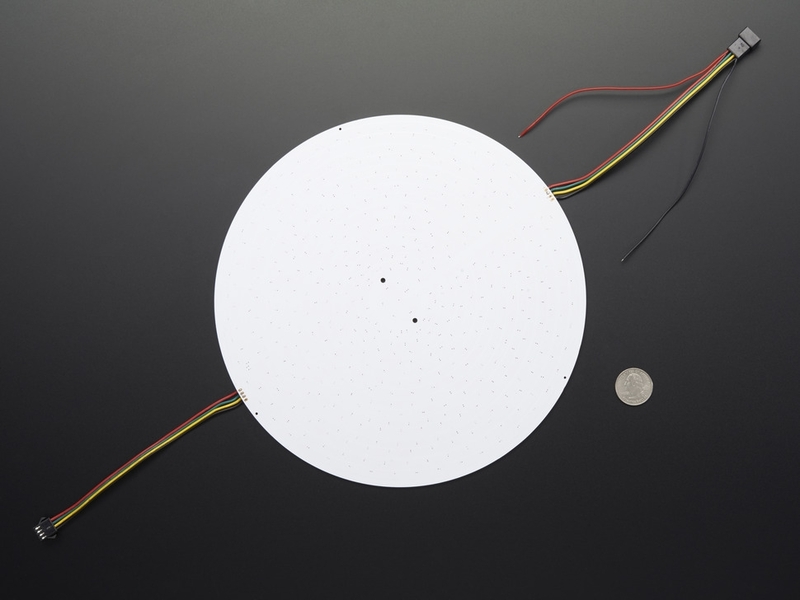 The Dotstar RGB LED Disk is sprinkled with digitally-addressable LEDs, comes on a white PCB with two 4 pin JST-SM connectors already soldered to it so it's ready to rock straight out of the box. These are the same integrated LEDs that are used in our new fancy DotStar strips. 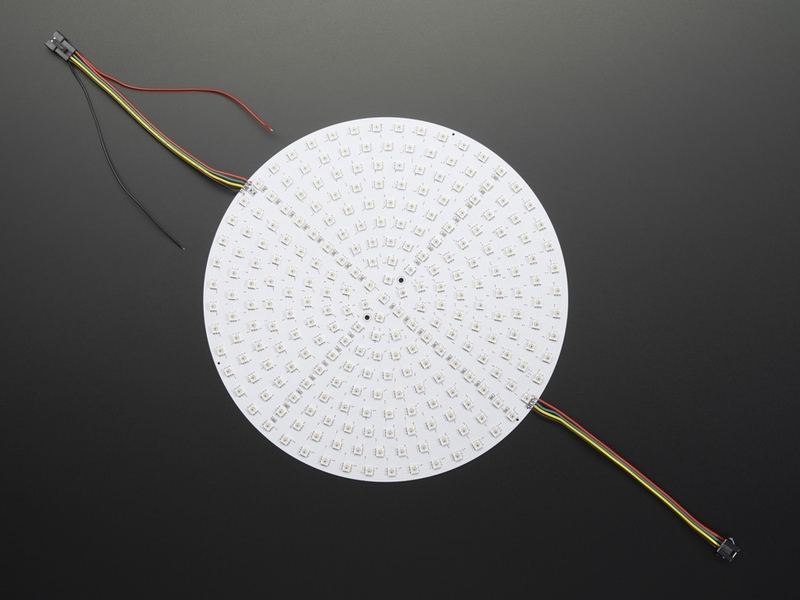 This tiny 5050 (5mm x 5mm) SMD LED is the most compact way possible to integrate multiple bright LEDs to a design. 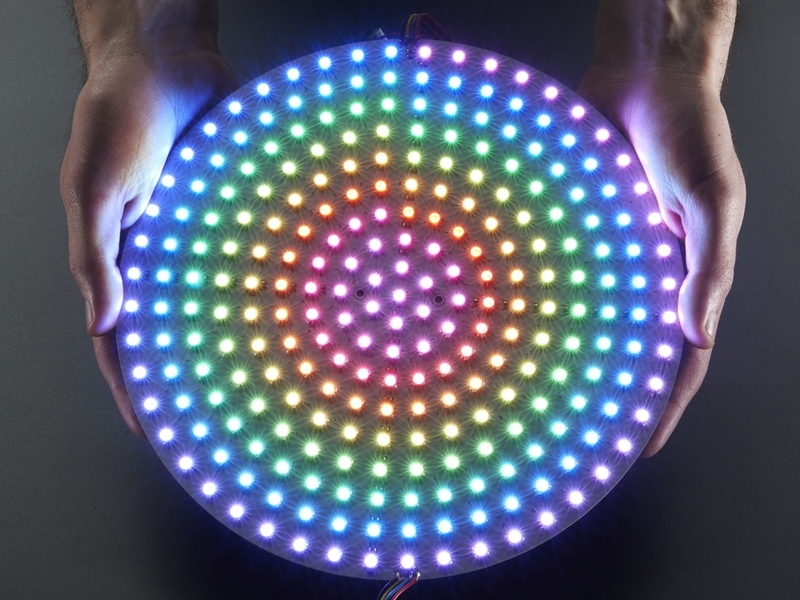 Rather than NeoPixels, this disk uses DotStar LEDs, which use a 2-wire protocol that is less timing-specific and has high-frequency PWM for smoother color blending. Another nice thing about DotStars is their high PWM rate. You only have to set the 24-bit color data for each pixel LED once, and then the LED+built-in-chip will handle the PWMing of the red, green and blue. On NeoPixels, this PWM rate happens 400 Hz, which works well but is noticably at lower brightnesses and if the strip is moving in any way. DotStars have a 20 KHz PWM rate, so even when moving the disk around, you won't see the pixelation, the color blending is very smooth. You'll need a lot of power to fully light up this disk, so be sure to pick of a 5V 10A power supply! We have a tutorial showing wiring, power usage calculations, example code for usage, etc. Please check it out!